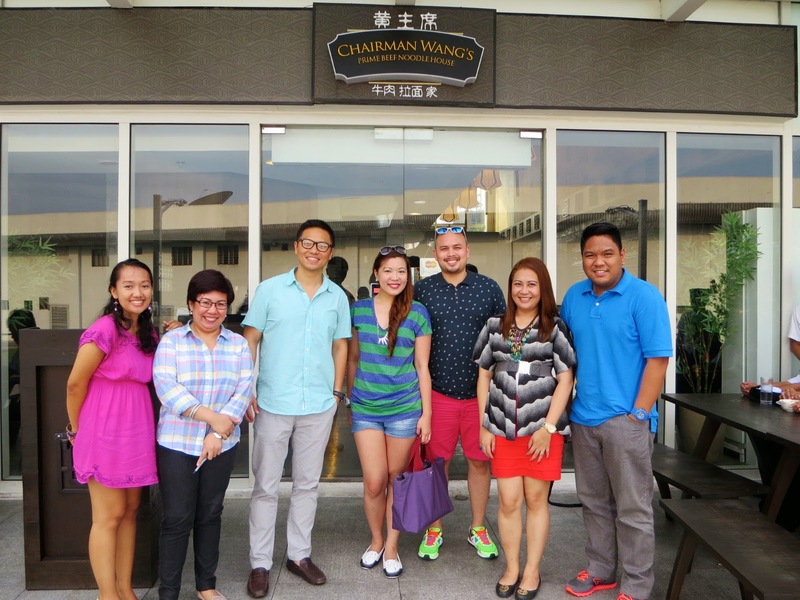 Chairman Wang's in Molito Alabang. Food lovers that we are, T and I are happy to see more and more new restaurants sprouting in the Alabang area. So when I got an invite from Chairman Wang's Prime Beef and Noodle House, I said we were game! 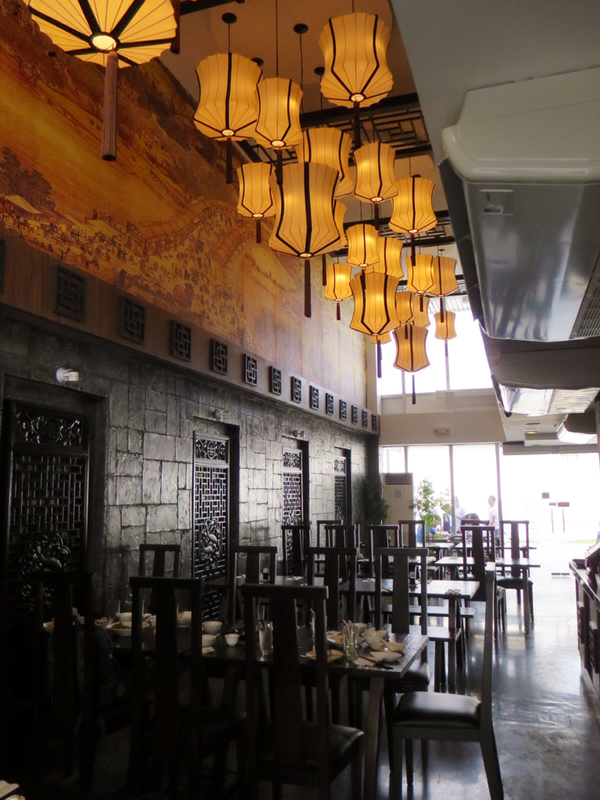 Because of the decor, the noodle house may seem intimidating but it's really a casual dining restaurant. I know that's a concern to us who live in the area because we're always in casual clothes, but Chairman Wang's said they have no dress code so we can come in with our tees, shorts, flip flops and all. I don't eat duck so T was the one who tried this for me. On a side note, that's the reason why I can never go to food tastings without T. I don't eat things that are cute or fluffy so duck, lamb, and veal dishes go to T for his review. I like this appetizer but since it was sitting on the table for too long, it wasn't crunchy when I bit into it. T likes his dumplings fried, I liked mine steamed. So when we go to Chinese restaurants, one of us has to compromise, but not in Chairman Wang's! 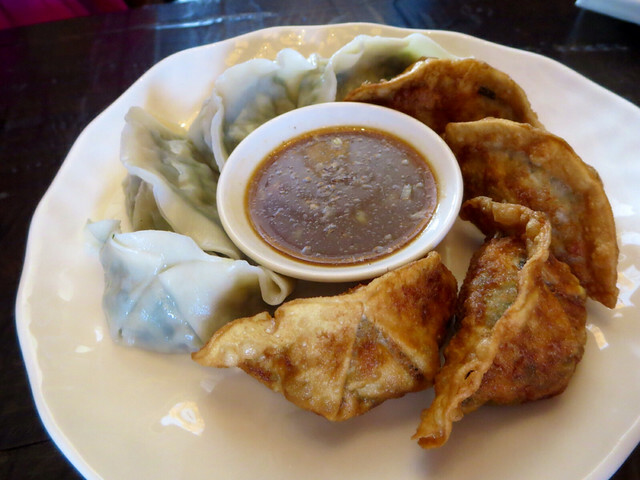 Here, we can have half an order of steamed and half an order of fried dumplings. 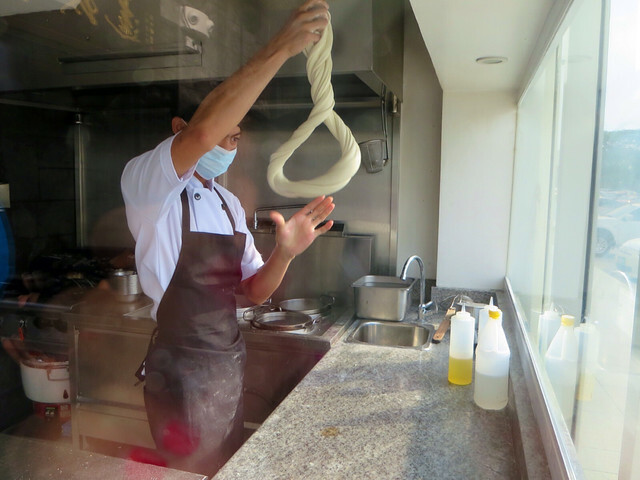 Chairman Wang's noodles are freshly prepared everyday. Just like Ukkokei Ramen Don (read my blog posts about ramen places), Chairman Wang's won't serve anymore once their noodles run out. It's not really ramen but it is a good alternative. Plus, the serving is big so it can be shared by two to three persons. 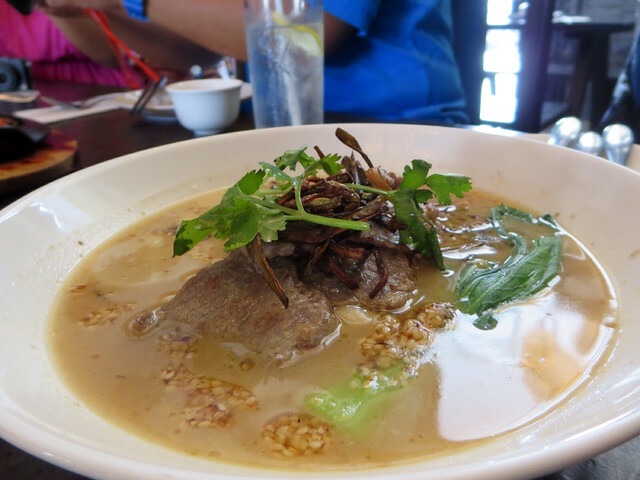 One thing that Chairman Wang's pointed out to us are the bubbles that appear on the surface of the broth. 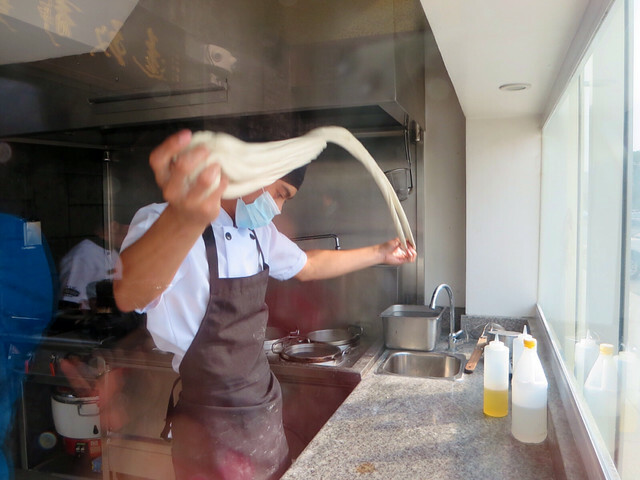 According to him, people mistake it for oil or grease when it is in fact collagen which comes from the bones of chicken or beef boiled with the broth to give it flavor. T liked this since he loves mushrooms. It was just ok for me. 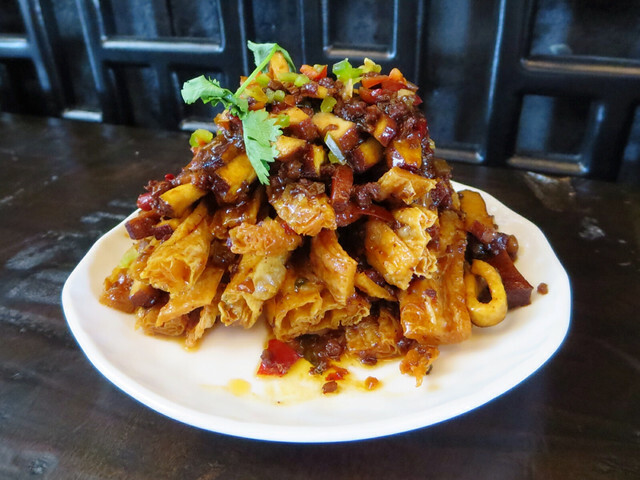 I don't think I've seen lamb in Chinese restaurants so I asked the owner of Chairman Wang's what inspired them to include this in their menu. 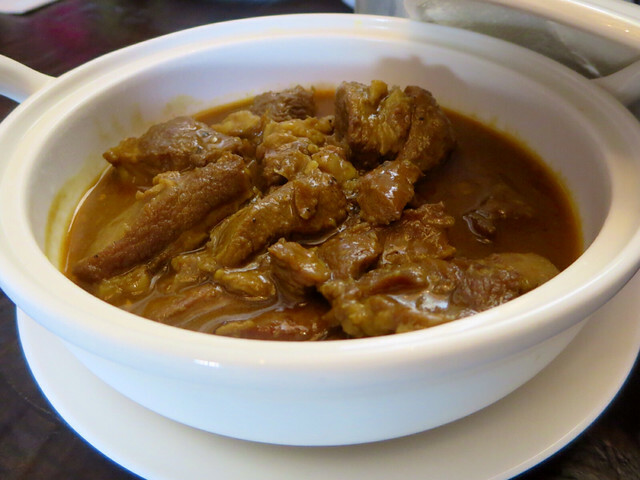 Apparently, lamb is a staple in northern China and during the owner's travels, he encountered this dish there. I don't eat lamb so T was the one who tasted this dish. He never asks me to try lamb but he did this time, so I guess he really liked it. However, I just couldn't bring myself to eat a cute animal so I'll leave you with T's recommendation. One good thing about the meat they serve in Chairman Wang's is despite being left in the table to sit for a while, it never gets tough. 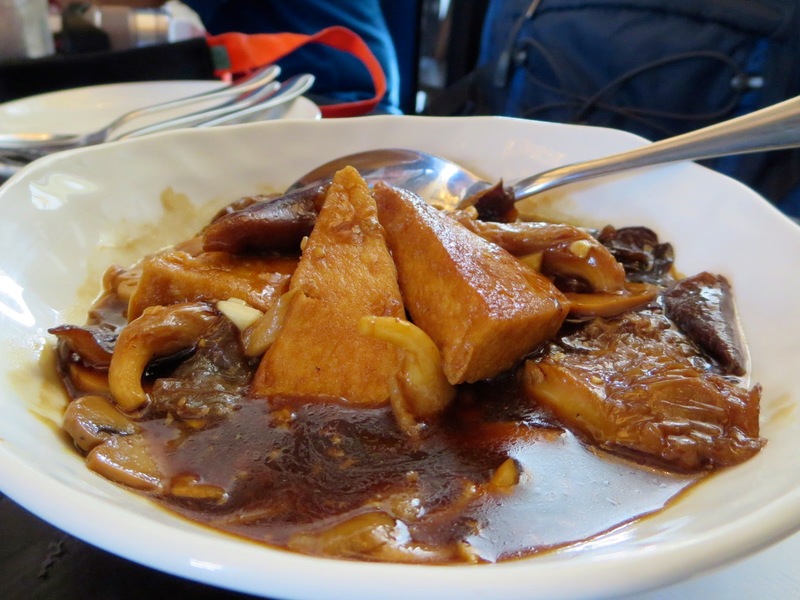 Take for instance this black pepper beef dish they served us. After half an hour, I bit into it and the meat was still tender. Another ingredient I was surprised to find in a Chinese menu is black olive! T and I love this dish. 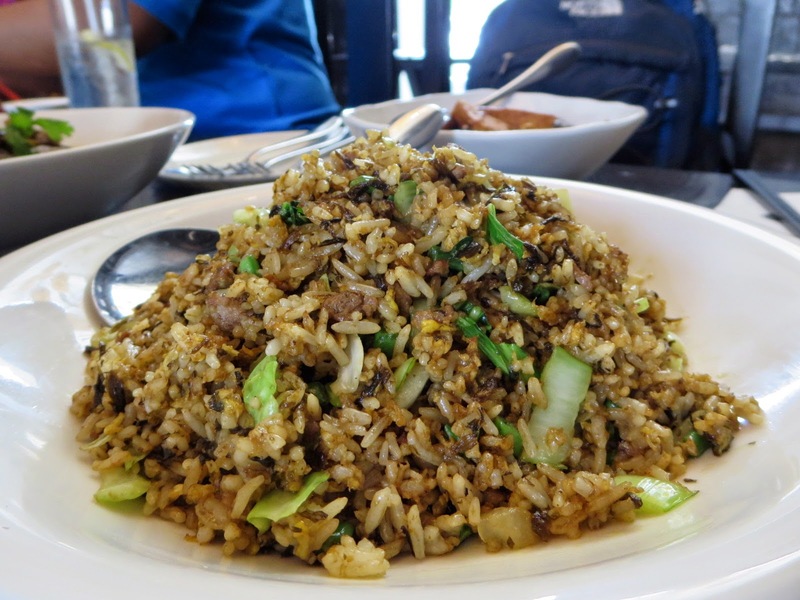 A better alternative to the usual Yang Chow fried rice. 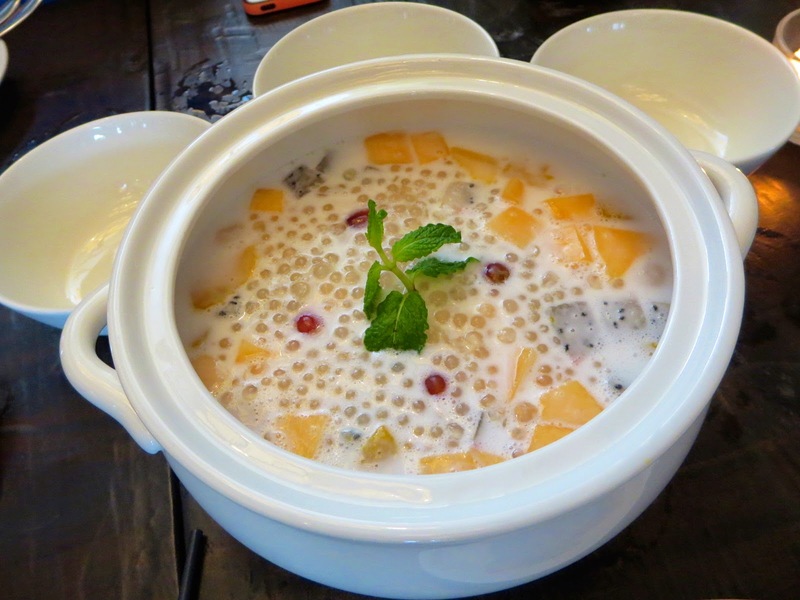 This can be ordered per bowl (P95+SC), for 5 to 6 persons (P350+SC) or for 10-12 persons (P650). 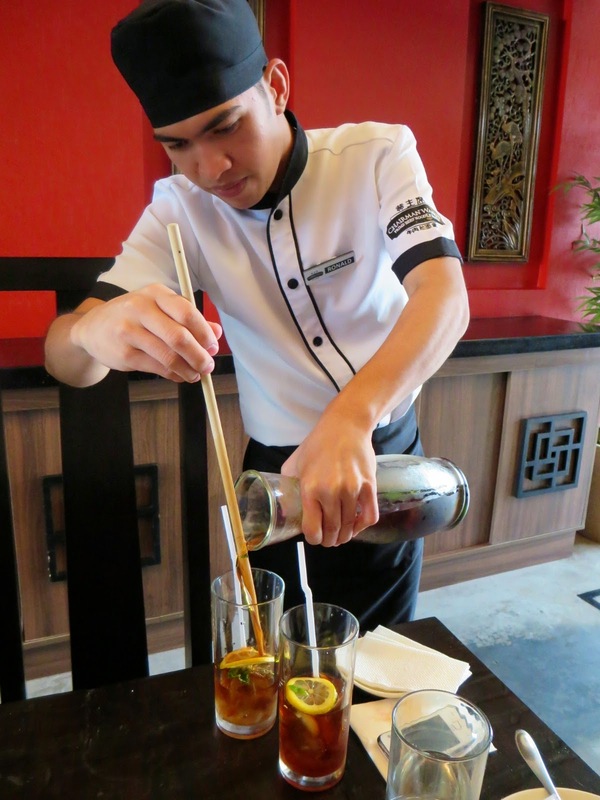 Despite the good dishes served to us, I'd have to say that the drinks are my favorite. And since the teas are brewed and not pre-mixed, you can ask for the unsweetened version and syrup to be served on the side. 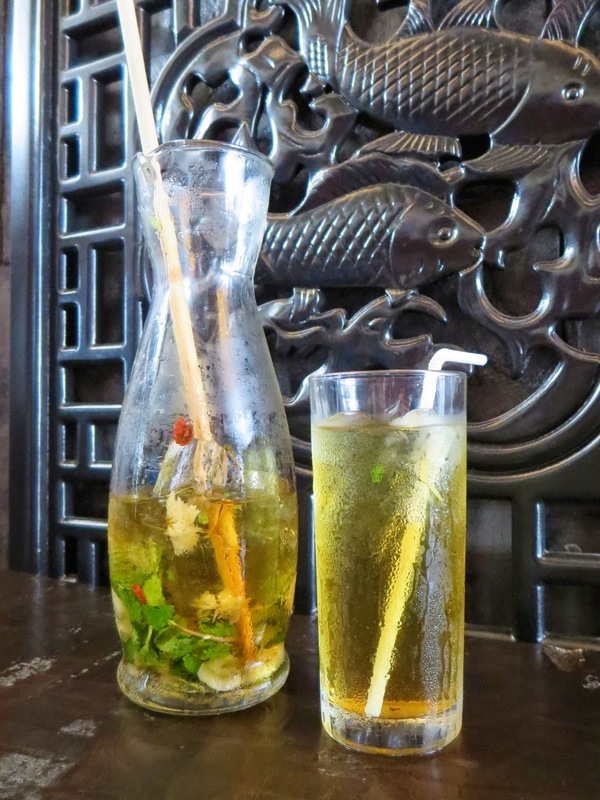 Chrysanthemum tea, longgan, goji berries, and honey mint leaves. Black tea, sliced lemon, honey, and mint leaves. 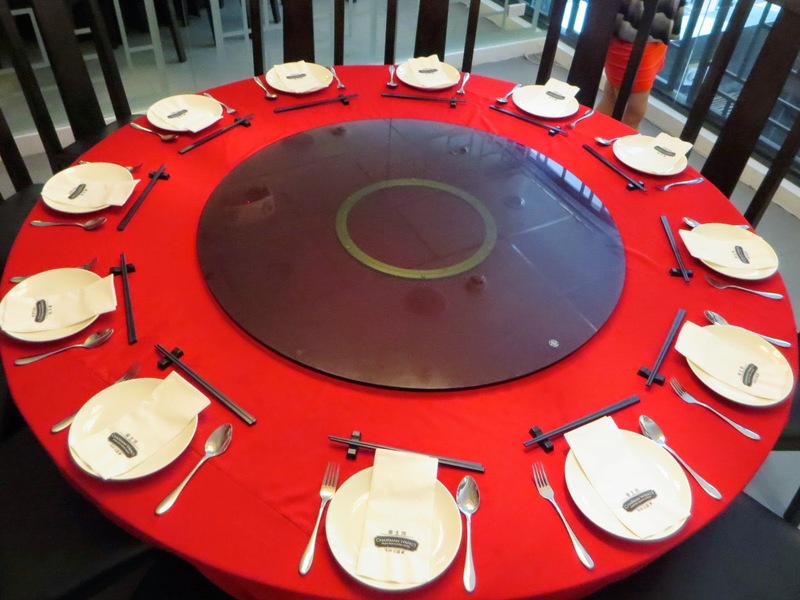 For birthdays or meetings, Chairman Wang's has a function room upstairs with a table good for 12 persons. Thank you so much to Chairman Wang's VP of Operations Jerick, Marketing Manager Alyz, and Operations Manager Blush for having me and T. Hope to be back with our families and friends soon! 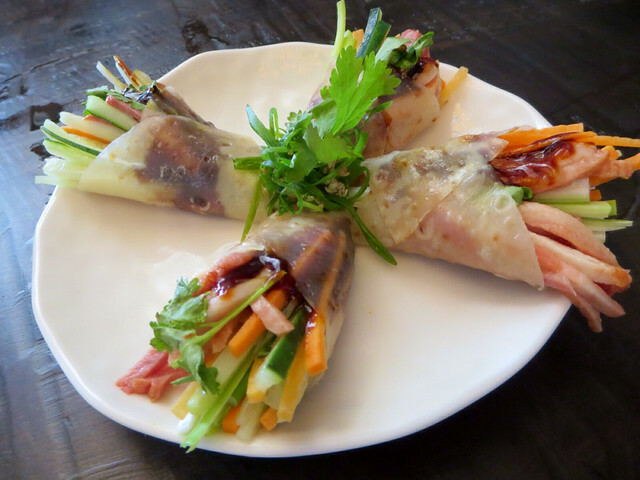 Authentic Chinese dishes with a twist. Despite the formal ambiance, the food prices are not that expensive. *Where to eat in Molito Alabang? 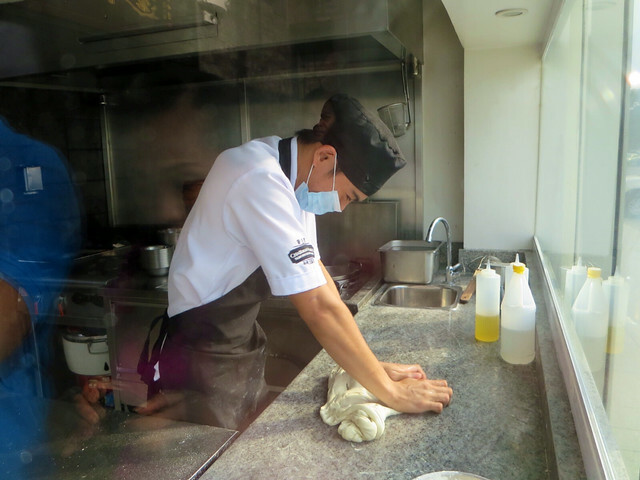 Are You The Next Food Hero? VELOCI Watches Spotted on Celebrities in Boracay! Mind Body Soul Goes to Forbes Park Makati! Serenitea and Captain Pepper's Chicken Delight. UNO de 50, Now in Manila! Magnum Opus Fine Coffee Gallery in BF Homes. OOTD: In The Heat of Summer. Pancake House's Mad Mallow Creme Toast.